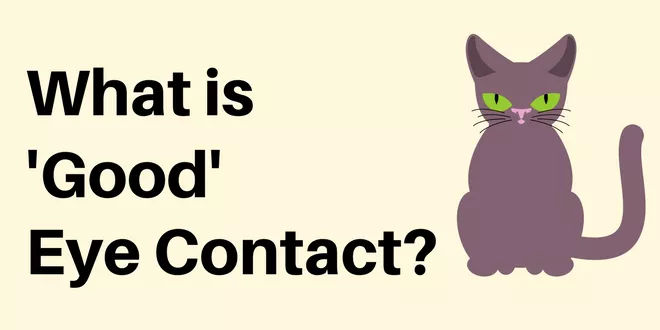 I just read a fascinating article about how powerful eye contact is and how much it says about your mood and confidence levels. Take a moment and think about a very confident person at work, someone who everyone gets along with. How do they look at you? You may have never thought about this and I’ll give you something to try at the end. This positioning is most appropriate in a business situation. Imagine a line below your business associate’s eyes. This will serve as the base of a triangle and the peak will be at their mid-forehead. To maintain a professional contact, keep your eyes in the middle of that triangle when speaking to others. If you know the other person on a personal level, invert the triangle so that its peak is now at their mouth. Still, keep your eyes focused in the middle of the triangle, which is now at the bridge of their nose. Also, always be aware that spending too much time looking at the lower half of someone’s face may give off inappropriate nonverbal messages. Managing your eye contact is important, as it can give away what you’re thinking and how you’re feeling. In a business environment, you need to learn how to monitor your own eye contact and movements, as these messages are the most expressive of all nonverbal messages. 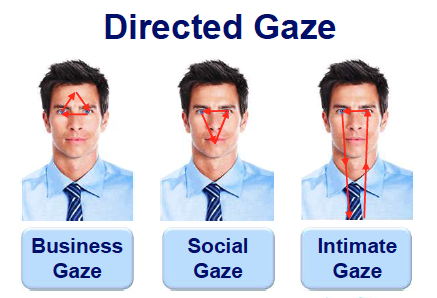 When thinking about eye contact, you should also be aware of the cultures involved. Direct and prolonged eye contact is seen as a sign of trustworthiness and is more appreciated in Western cultures. On the other hand, it may be seen as a sign of disrespect to look directly at a superior in Eastern cultures. Don’t be the first to break eye contact. I tried this several weeks ago when I was at Universal Studios with people I would pass and almost subconsciously my eyes would dart away as soon as their eyes locked on mine. It really pissed me off. I didn’t want to come off as creepy or weird, however I challenged myself. I would break contact after they did. Odd challenge I know but try it the next time you are walking around. How does it feel? Share your experiences with us on Instagram @realsuperiormen or email us at [email protected]. This post may include Amazon or other affiliate links. For more information, see our disclosure policy here.